Fat… I know. (Don’t judge me). But seriously, who doesn’t? I know London is filled with a zillion Dixy’s and Chicken Cottage’s… But there are now new halal restaurants being introduced in the city which sell better quality free range chicken, which isn’t overly greasy. Let me introduce you to BIRD. BIRD is a colourful, fun and chilled out restaurant located in Shoreditch. When you walk into the restaurant, you definitely get an East London vibe from the exposed brickwork and industrial beams. I came along with two of my closest friends from school who love food just as much as I do! 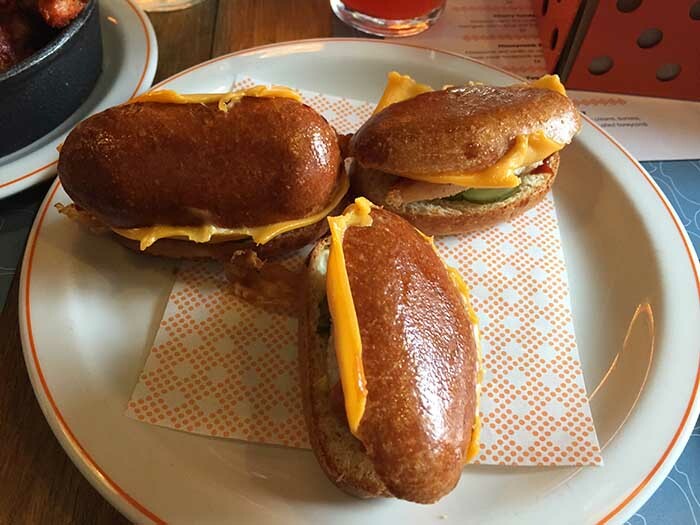 We decided to order from their weekday lunch menu which consists of a main, side and a doughnut: all for £10! Oh… and we ordered some wings from their normal menu! 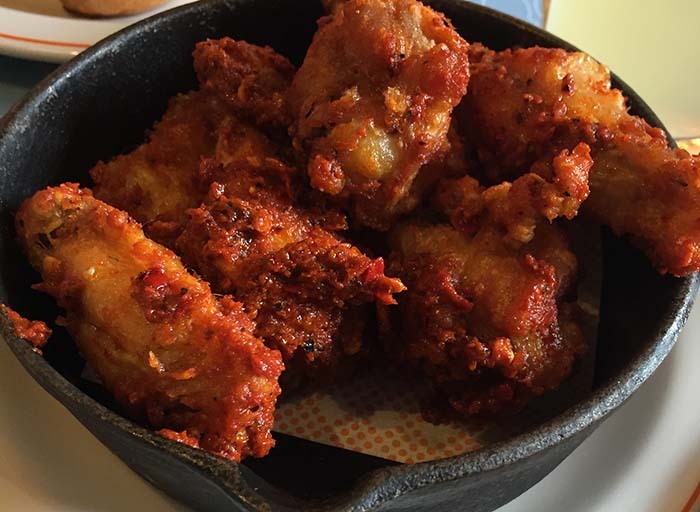 BIRD offers wings that are tossed in glaze or with dipping sauce on the side. We decided to go for the “extra hot chilli” flavoured glazed wings. The first thing you notice is that somehow the fried coating is crunchy and dry, but within it, lies juicy and fresh chicken. Not greasy at all! These wings were extremely spicy, so order these if you can handle the heat. Personally, I thought they were a bit too spicy and this was overpowering and didn’t allow me to enjoy the wings as much as I wanted to. I was really looking forward to these hot sliders, but was extremely disappointed. The slider bun was soft and pillowy, but the chicken did not live up to my expectations. There wasn’t much chicken in here at all (as you can see from the picture above). The chicken did not have much flavour and tasted rather slimy which was strange. It wasn’t quite “fried chicken tenders” like the menu had stated. This was the best item of the bunch! 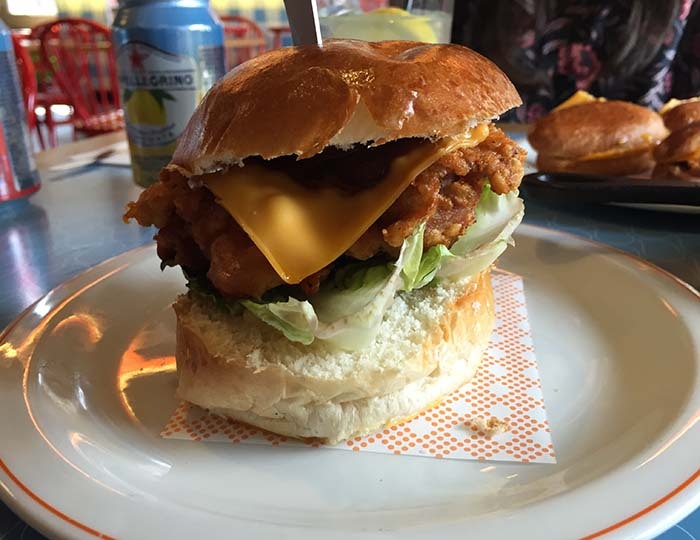 A deep fried, boneless breast, smothered with melted gooey cheese, topped with crunchy slaw, Kewpie mayo, pickles and hot sauce on a soft, buttery roll. The chicken was again crunchy and not sickeningly greasy! On a separate note: I really enjoyed their rustic style chips, which were seasoned well and again, not overly greasy like normal fried food restaurants. BIRD have a yummy doughnut shack that serves different flavours every day. They only had two flavours when we were there (strawberry and plain sugar). I opted for the strawberry doughnut, which was really soft, warm and delicious. 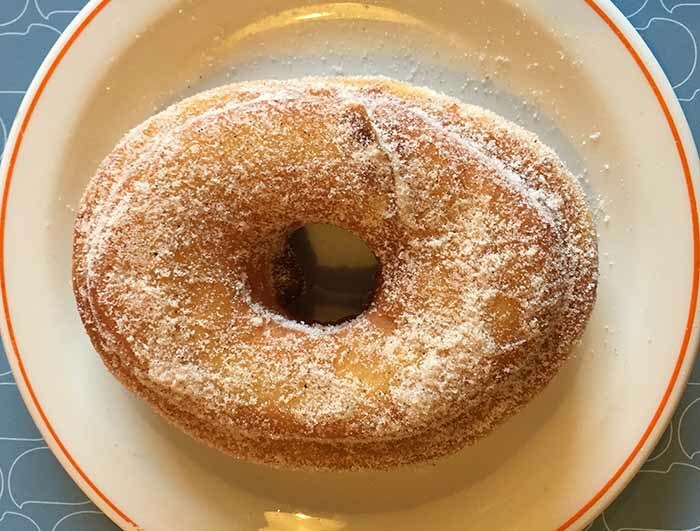 It was better than your average doughnut from the supermarket, but not amazing and comparable to something like a Krispy Kreme. Overall, I don’t think this is a restaurant I would rush back to. I have to commend them for the fact that their fried food remained non-greasy and for allowing us Muslims to have free range halal chicken! However, the flavours of the chicken weren’t amazing and I’d personally prefer Chicken Cottage! The bill for 3 people amounted to around £40 including drinks and service. This is of course more expensive than your local chicken shop, but considering this is a proper sit down restaurant, it is understandable.